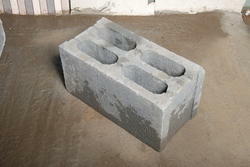 Leading Manufacturer of hollow block, aac blocks and hollow blocks from Chandigarh. 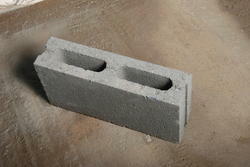 Hollow and dense cement concrete blocks are known as hollow blocks. These have been developed as an alternative to bricks. The products are widely used in construction activity. The hollow blocks are made of cement, stone chips, stone dust and sand are not only cheaper than bricks but have other specialties as well. These blocks have more tensile strength, the walls constructed from these blocks act as thermal insulators because of their hollowness. Our company has relentlessly pursued excellence in its endeavor by providing premium quality AAC Blocks. Processed using superior grade concrete and modern technology, this is widely used in commercial and residential buildings to provide strength. Moreover, our blocks are checked against various parameters under the guidance of quality controllers to deliver the flawless range at client's end. Looking for Hollow Block ?